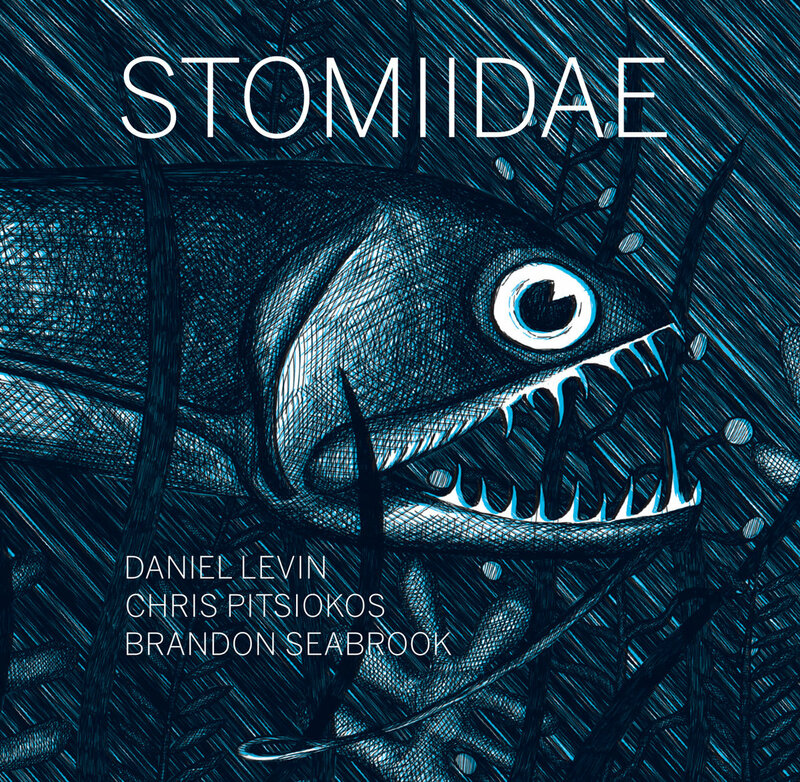 Stomiidae is a family of deep-sea ray-finned fish, as well as a new album of freely improvised music with each of the seven tracks on this album named after a different genus of the fishy creatures, such as ‘Eustomias Trewavasae’ and ‘Neonesthes Capensis’. Well, if that doesn’t whet your appetite then knowing that this is a collaboration between Daniel Levin, Chris Pitsiokos, & Brandon Seabrook possibly just might. The music sounds very programmatic to represent these little critters from the murky depths, with textures such as on the opening track ‘Photonectes Gracilis', which conjure images of fast moving beasties, nibbling, gnawing, and scavenging on whatever edible materials they can find. This is a theme that is continued throughout the album with sharp biting flurries of notes and sounds that make up most of the material which the three musicians work with to develop the music throughout. Because of this the album demonstrates a consistent sound world that flows from piece to piece creating an over-arching theme that binds all the pieces together. Without wanting to trawl through each track giving a blow by blow account, some other programmatic examples of the music on offer include, ‘Chauliodus Danae’, which starts very quietly and sparsely, with the sounds of slowly scratching and ethereal bowing of strings pregnant with anticipation, before a short frenzied attack of rapid split notes, multiphonics and mouthpiece noises full of predatory suggestiveness. Also quicksilver intertwining parts that shift quickly in nature, like a shoal of fish, are resonant throughout ‘Opostomias Micripnus’, as well as being found as an organising principle in other parts of the music contained within this album. The last piece ‘Echiostoma Barbatum’ also contains bursts of activity, some shorter or longer than the others, with the instrumentation blending well to create a sound that creates a dynamic musical cloud that twists, turns, and shimmers. Like a light that shines into the darkest depths, this recording gives us glimpses of a frenetic liveliness that leaves us straining to ascertain the overall picture of the collective musical behaviour. 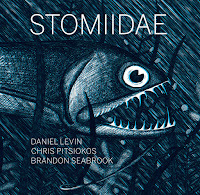 Stomiidae is an interesting concept as well as a coherent set of music, which seems to portray the shoaling and schooling of musical lines that are prone to predatory attacks within the musical fabric, as well moments of tranquility before the next assault. Catch this one soon and don’t let it slip through your net!